Nine lit and secure tennis courts are available in Wyoming. Four courts are part of the A-Field facility on the northwest side of the athletic field on Springfield Pike (near Spring Valley Bank) and five municipal courts are located in the municipal parking lot next to the JWC Tot Lot on Springfield Pike. Courts are on a first come first serve basis. A tennis instructor conducts lessons and clinics from early spring to late fall. The Municipal Gymnasium is located at the north end of the City Building at 800 Oak Avenue, it is used for youth and adult basketball programs. The gymnasium is available for rent by Wyoming residents for a nominal fee. The Wyoming Recreation Center offers a full size gymnasium, meeting rooms, fitness center, child care room, and shower/locker facilities. Gymnasium and meeting rooms are available for rent. Soccer fields/lacrosse fields are also located on the grounds of the facility. 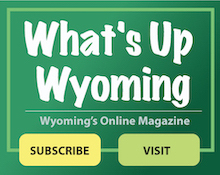 Wyoming Family Aquatic Center is located at the Recreation Center and offers an eight lane heated competitive-size pool, play and spray area, vortex swirl pool, diving board, slide, a bathhouse, and the SeaDragon Cafe. Residents can purchase a single or family membership or pay a daily admittance fee. Pool operates between Memorial Day and Labor Day. Swim lessons are available. The SeaDragons swim team is a competitive summer team. Facility may be rented during evening hours.